Want to know what the Bible says about children? 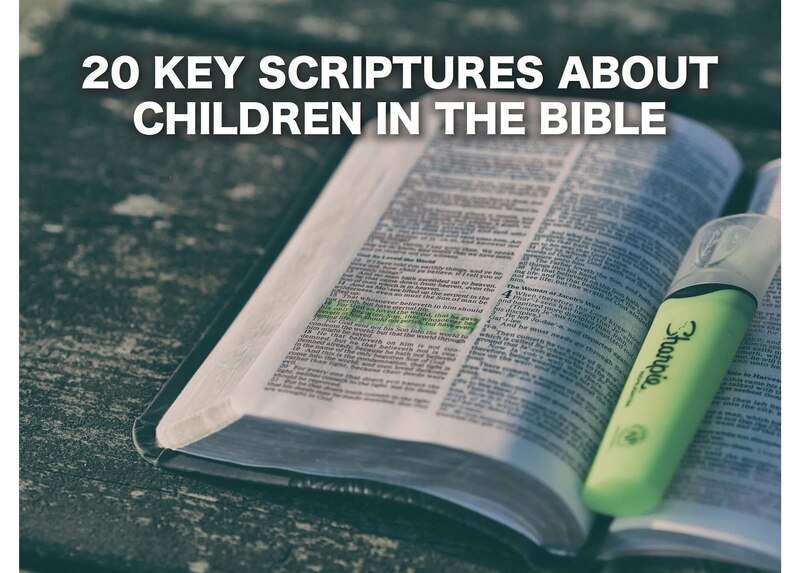 Here are 20 key scriptures about children in the Bible. Children have always played an important role in God's story. But as for you, continue in what you have learned and have become convinced of, because you know those from whom you learned it and how from infancy you have known the Holy Scriptures, which are able to make you wise for salvation through faith in Christ Jesus. He called a little child to him, and placed the child among them. And he said: “Truly I tell you, unless you change and become like little children, you will never enter the kingdom of heaven. Therefore, whoever takes the lowly position of this child is the greatest in the kingdom of heaven. And whoever welcomes one such child in my name welcomes me, “If anyone causes one of these little ones—those who believe in me—to stumble, it would be better for them to have a large millstone hung around their neck and to be drowned in the depths of the sea." Listen, my son, to your father’s instruction and do not forsake your mother’s teaching. They are a garland to grace your head and a chain to adorn your neck.